At this modern family home, a terrace and a garage, which can be furnished with shelves, grown. 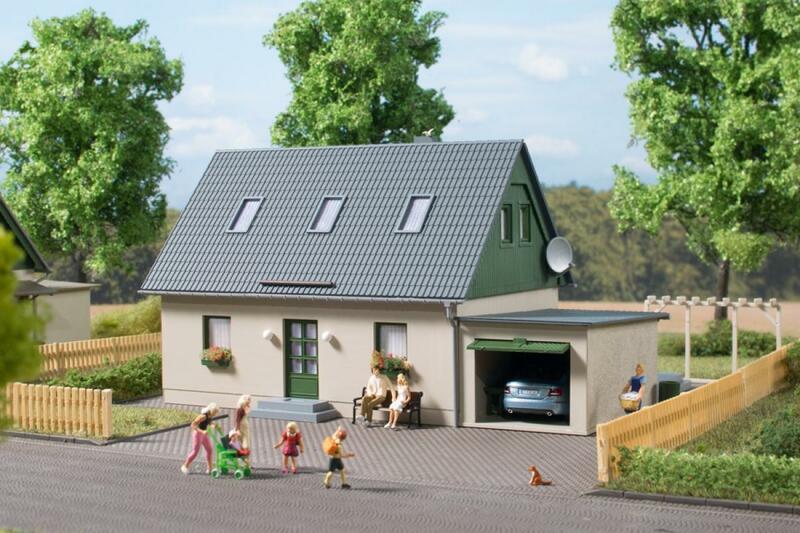 To create a realistic scene are water barrel and pergola, outdoor lighting, Schneangrundhölzer, solar collectors, roof vent, satellite system and flower boxes and planters with colored foam. Our Art. 41 648 Security fence with columns, Art. 41 649 Garbage bins with accessories and Art. 41 650 Terrace fittings are an additional asset.